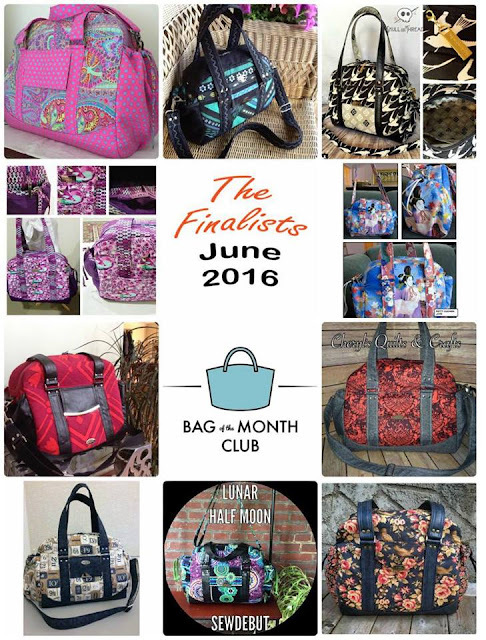 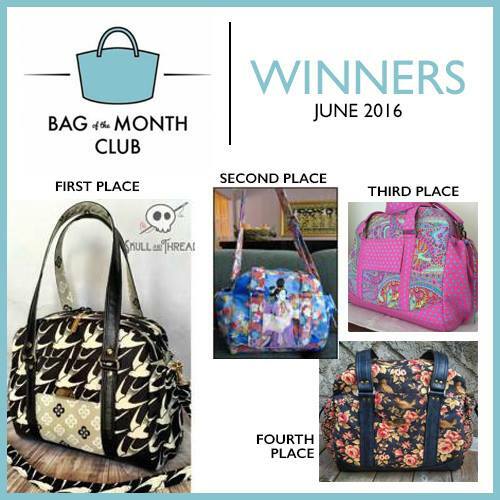 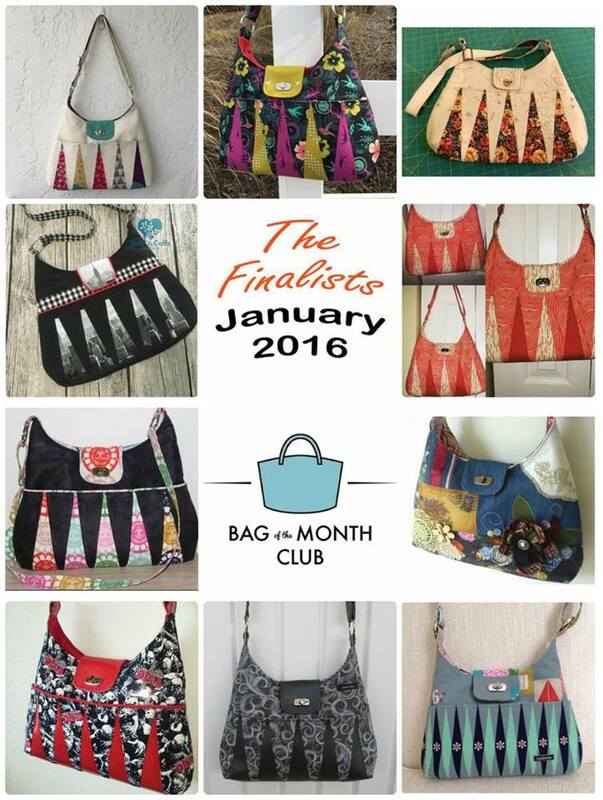 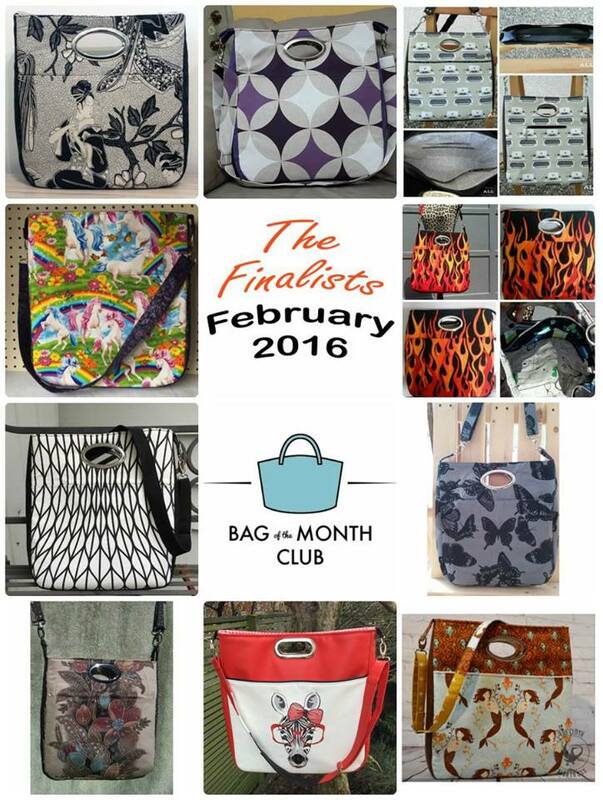 The first bag of the month club for '16 finished in June, and the final competition element was concluded in July. Since then, the entries have been narrowed down to 10 finalists per month, and then 4 winners per month from the finalists! 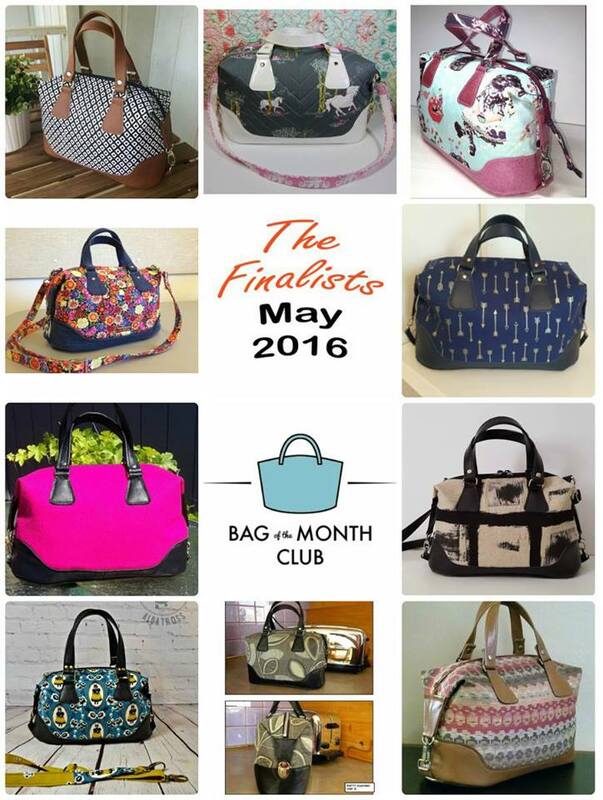 Here are the finalists and winners for each month. 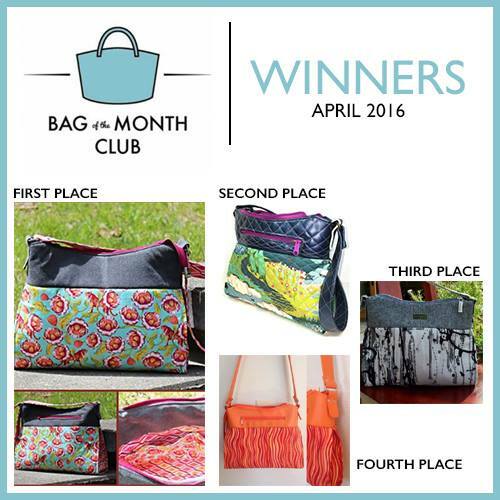 If you spot yourself on the winners list, please contact info(at)bagomc.com to claim your prize!! 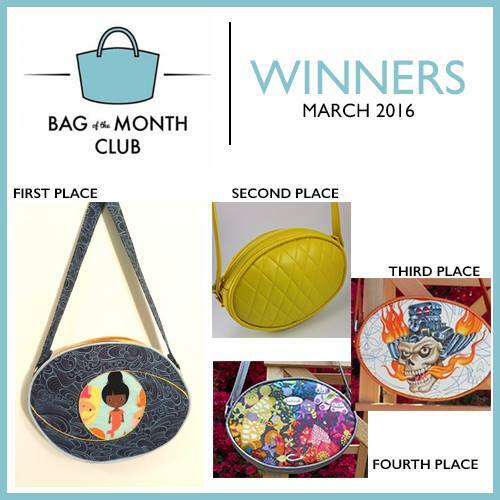 January saw Betz White's Backgammon bag start the club, what a lot of gorgeous bags! 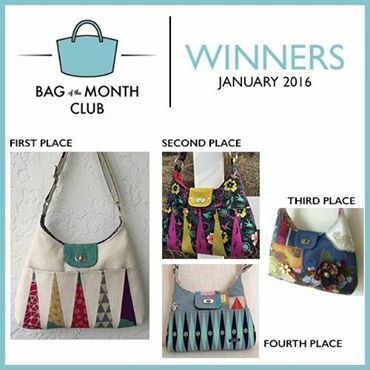 February was my turn with the Window Shopper tote! 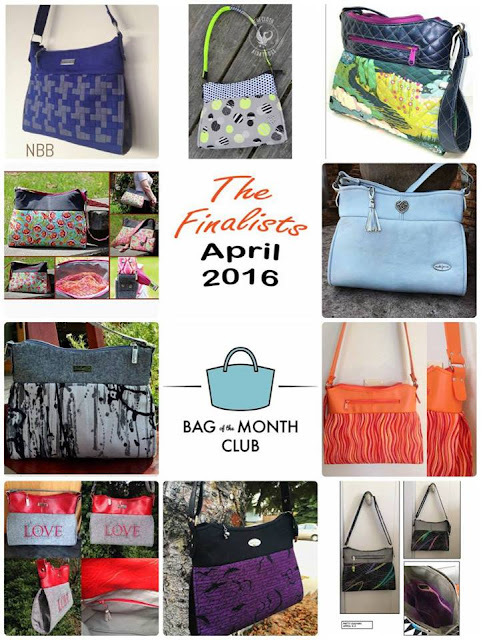 I must admit that I had to have someone else choose the finalists for me, it was too hard! 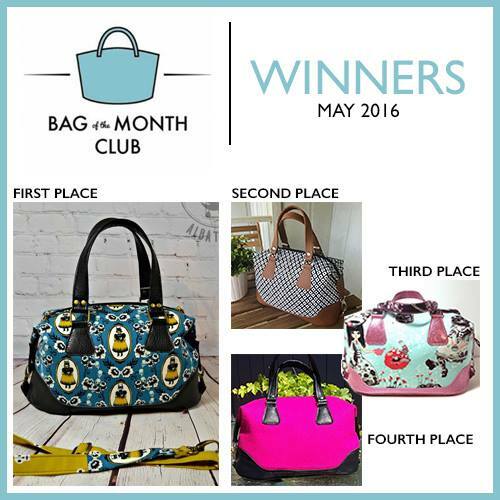 4th Prize: 3 PDF patterns of your choice by Sewing Patterns by Mrs. H.
March was Sara from Sew Sweetness, and she gave us two shapes of Polaris bag! 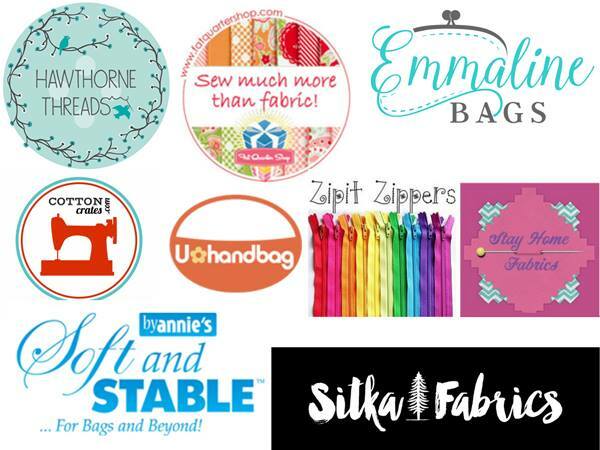 Thank you once again to our incredibly generous sponsors, we're so grateful to you for providing the prizes for this season! 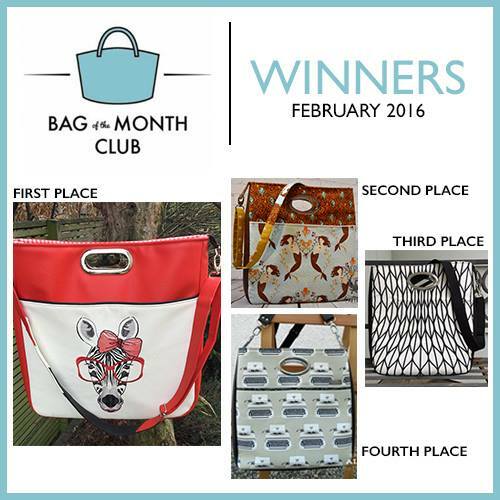 Congratulations to everyone who has taken part in the club. 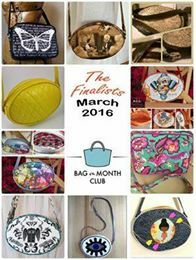 We've seen so many gorgeous bags, great personal achievements, and had such a fun 6 months! I can't wait to see what you make with the next season's bags!